Ever since I heard about the first SRI Lab exhibit, I have always wanted to go to one. Unfortunately, I could not physically go there because they always took their tour exhibits around Asia. 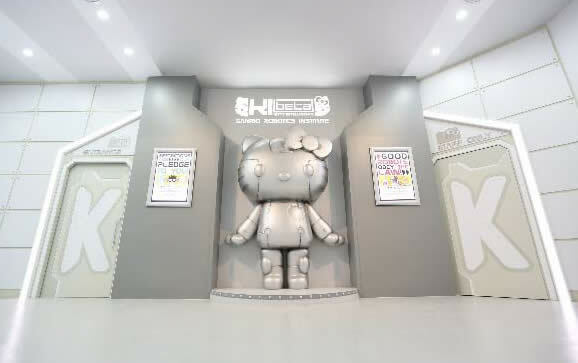 They had an exhibit in Hong Kong, Taiwan, Shanghai, and lastly-- Singapore. The exhibit in Singapore is now over, but the collectibles from the event is just starting to spread the envy from those who cannot physically join in on the experience of a lifetime. I beg you from the bottom of my heart. Please bring your very creative exhibition to Los Angeles. We really really and I do mean -- REALLY --- want to experience first hand of this exciting interactive SRI Lab Institute. 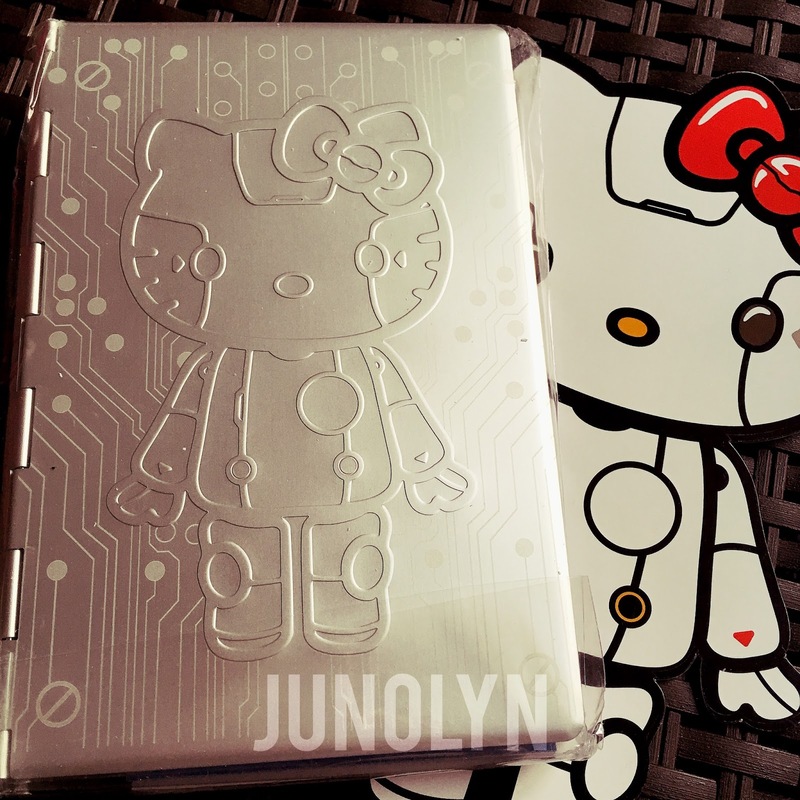 Hello Kitty is going high-tech! 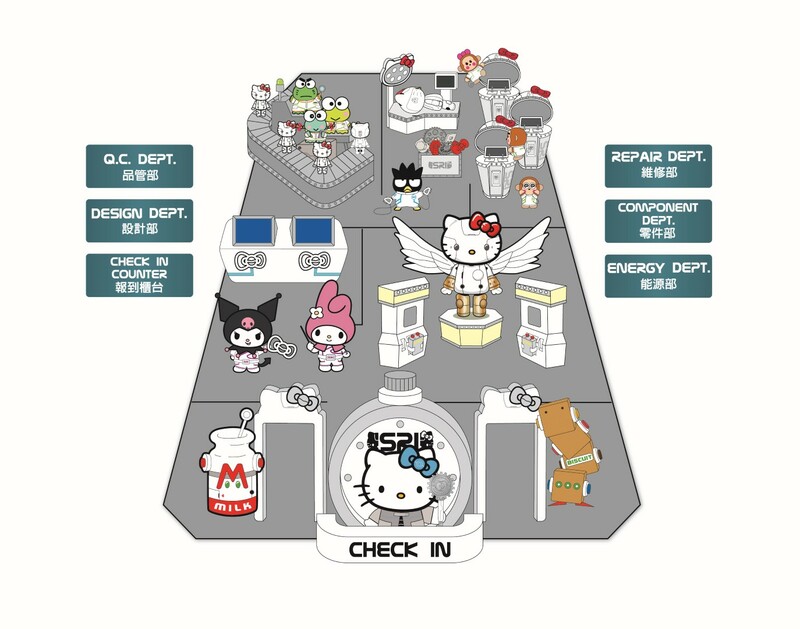 Come 11 June 2016, Suntec Singapore Convention and Exhibition Centre will be home to Robot Kitty Singapore, where avid fans can look forward to a quest in becoming engineers at the Sanrio Training Institute. After successful runs in Hong Kong, Taiwan and Shanghai, this invigorating showcase will be staged in Hall 403 for 11 days. The focal highlights of this futuristic event lies within its 5 Interactive Gaming Departments, of which each of them not only serve as a photo attraction in itself, but are well equipped with unique individual missions for Kitty’s engineers-to-be to undertake. 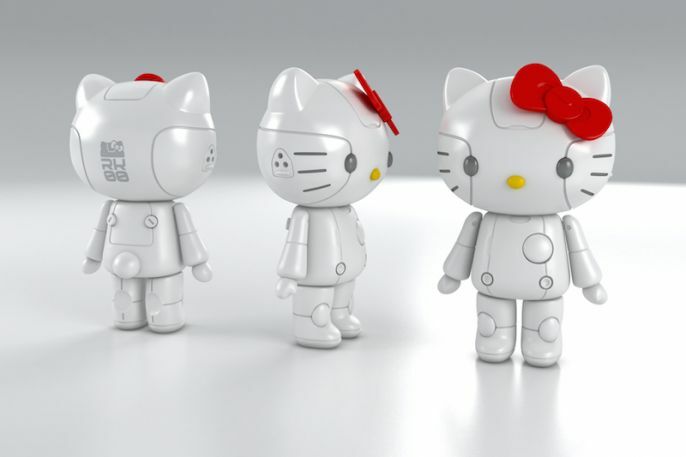 With an aim for these engineers to be rewarded with interesting parts/accessories upon completion, the challenge whirls around accumulating points via each gaming department by using the Robot K. The redeemed parts/accessories can then be used to “dress up” the Robot K, much to the satisfaction of the engineers. 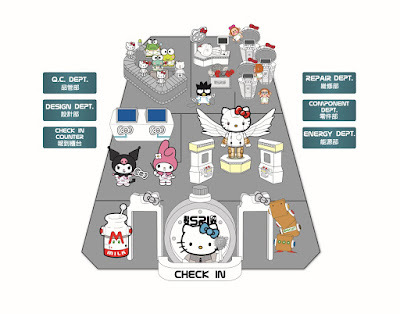 The 5 Interactive Gaming Departments are segregated into departments namely Design, Quality Control, Repair, Component and Energy being the final pit stop. Passing each of these departments will require engineers to perform tasks involving some quick coordination of the hands, sense of balance, accuracy and a bit of wit, all within a limited time frame. The Repair Department in particular, engineers will have to try their level best to revive the malfunctioned Robot K via a pair of defibrillators. A game manual will come in handy to guide the engineers through each interactive department, offering some heads-up and tips along the way. Be sure to keep a close lookout for the “Robot A” Check Points as these counters serves to display the engineers’ accumulated points, crucial to what they are able to redeem. What is Robot K and what it is used for? 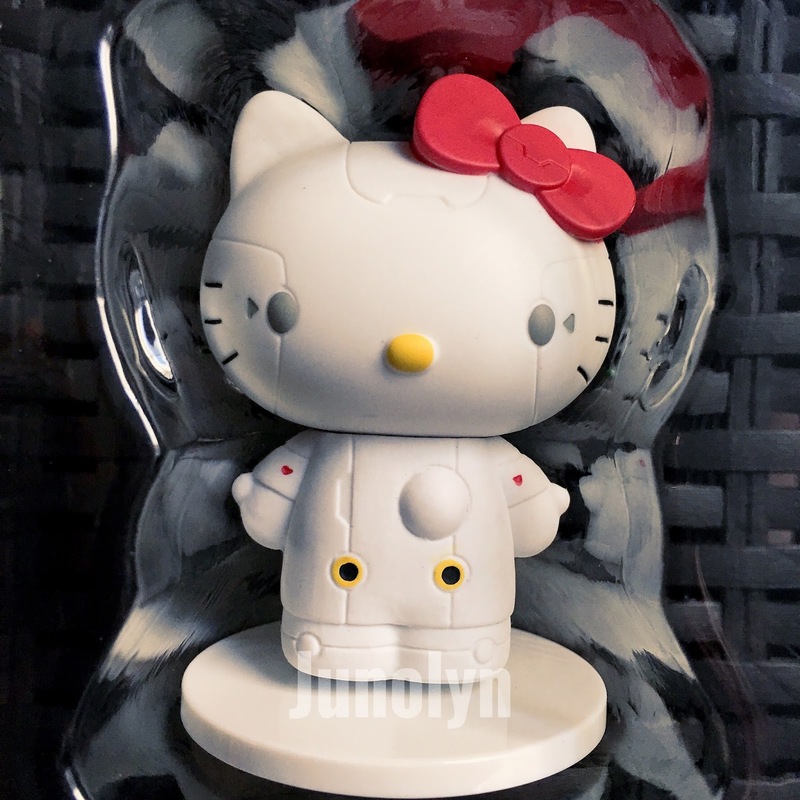 Robot K is a gaming device figurine that has an RFID chip embedded within. It has the ability to accumulate gaming points also known as “Koins”. With the accumulated gaming points, you are then able to redeem parts/accessories at the end of the game play which can be used to enrich the look of your Robot K.
What is the dimension of Robot K? 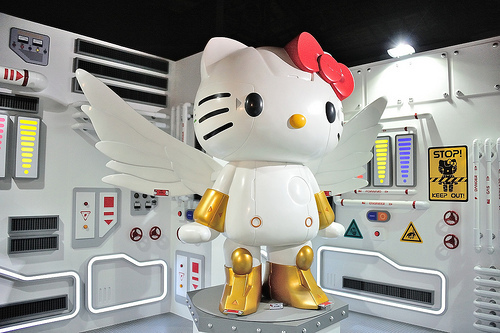 Robot K’s height is about 20cm and approximately the height of 2 Fuji apples. How many Robot K can I purchase? You can purchase any number of Robot K but only 1 Robot K can be activated per ticket holder at the check-in counter. How many interactive departments are there at the event? We have a total of 5 interactive departments namely: Design, Components, Quality Control and Repair with a final pit stop at the Energy department. Below you will find that I was able to score some goodies from the latest exhibition in Singapore. I am very much in love with this particular binder. The very fact that it is made of metal stands out from all the rest of the Robot Kitty merchandise. 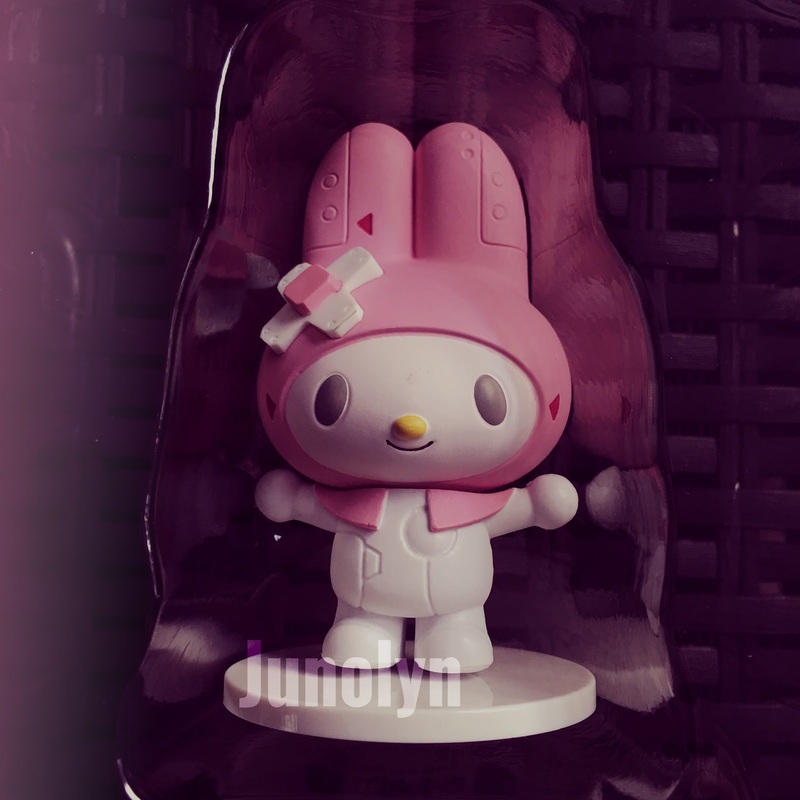 The design is very appealing to a Collector like me. The best feature is that the surface is not at all flat. I like the fact that this binder is not ordinary. It's a one-of-a-kind binder that you cannot get anywhere else. Yeah, this binder deserves a spot in my display case. 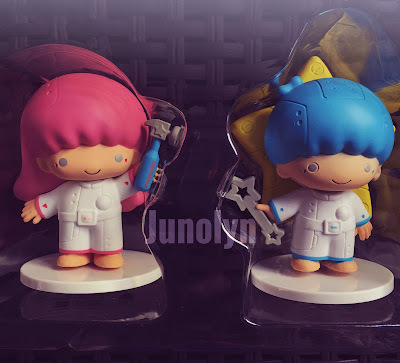 These small figures are another spazz worthy souvenirs that cannot be passed up.